The history of Islam in Iraq goes back almost 1,400 years to the lifetime of theProphetﷺ, with many cities throughout Iraq being blessed with huge historical prominence for both Shia/Sunni Muslims, with cities such as Najaf, Karbala, Baghdad and Samarra.For example, the city of Najaf contains the tomb of the fourth caliph, Hazrat Ali , who is also the cousin and son-in law of the Prophet ﷺ. The city is a centre of pilgrimage for many Muslims throughout the world and it is estimated that only Mecca and Medina receive more Muslim pilgrims. The city of Baghdad was a hub for Islamic learning and scholarship for many centuries and contains the graves and tombs of many Sufi saints. It contains the shrine of the great, Sheikh Abdul Qadir Jilani (upon be peace), also known as Hazoor Gaus Paak, who is the most popular and revered Saint of Islam and the founder of the Qadriya order. The city of Baghdad also contains the graves of Islam’s most early prominent scholars and Imams, which include: Imam Azam Abu Hanifa, Hazrat Junaid Baghdadi, Imam Ghazali, Hazrat Maroof Karkhi, Hazrat Behlul Dana (upon all be peace). Any pilgrimage to Karbala is a devotion and symbol of redemptive suffering, liberation and public expressions of grief to the death of Imam Hussain (Alayhis Salam) and the martyrs of Karbala which took place in 680 AD. 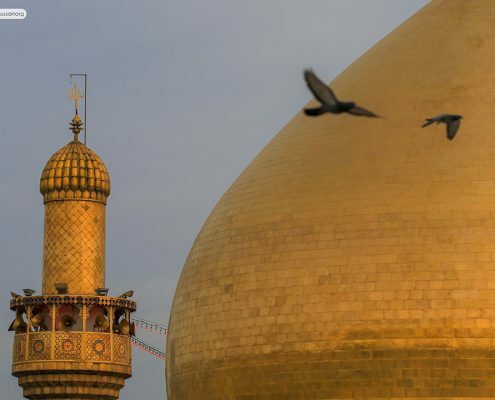 It also contains the tomb of Hazrat Abbas , who was Hazrat Hussain’s (Alayhis Salam) loyal half-brother and the army commander in the Battle of Karbala. The shrines in Karbala are very opulently decorated with precious metals and shiny surfaces. The minarets and dome are covered in pure gold and inside the tomb; it is covered in gold and silver and sheltered by a vast dome covered in mirrored tiles. The city of Kufa is blessed with the beautiful Masjid of Kufa, alongside the tomb of Imam Muslim Bin Aqeel. Not far away in Kazmain, you have the resting place of Imam Musa Kazim and Imam Muhammad Jawaad (upon be peace). 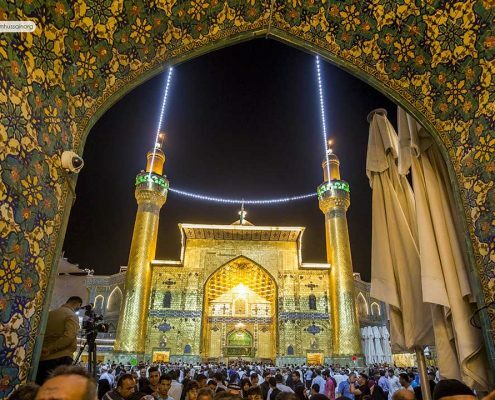 Likewise, Samarra is also home to the al-Askari Mosque, containing the mausoleums of the Ali al-Hadi and Hasan al-Askari, the tenth and eleventh Imams respectively, as well as the shrine of Muhammad al-Mahdi, known as the “Hidden Imam”.